Connie Conboy is currently Director of Strategy and Business Development for the Performance Review Institute (PRI). In this role she is responsible for the new MedAccred program, an industry managed critical manufacturing oversight process for the Medical Device Industry designed to improve product quality and most importantly enhance patient safety. Prior to joining PRI, Connie was Vice President of Corporate Quality and Business Excellence for Bayer Corporation a global enterprise with core competencies in the fields of healthcare, nutrition, and innovative materials. In this role, she established a vision and strategy to enhance compliance and improve products, services, and customer experience utilizing a total quality and strategy to enhance compliance and improve products, services, and customer experience utilizing a total quality focus. While driving quality and process optimization across all business units, Connie directed the implementation of key initiatives, including Lean Six Sigma, Continuous Improvement, and a Corporate Change Leadership Process, which was benchmarked by the United Nations as a global best practice to successfully drive change across large, intricate organizations. As a Corporate Vice President, Connie was responsible for a team of internal consultants that worked with the President and CEO and senior leadership throughout the corporation to deliver strategic solutions, improved customer and product quality, and significant improvement in business performance. Connie reported directly to the President and CEO and spent over 20 years with Bayer Corporation. During her career also served as Vice President of Strategic Initiatives where she acted as a member of a select senior leadership team for initial formation and oversight of a transformational change team charged with driving efficiency improvements and supporting future business growth—which resulted in a cost reduction of over $100 million. She also worked with trade associations, government bodies, and internal teams to collaborate on industry issues relevant to the company and created an approach for evaluating sensitive issues from the legal, political, communications, and health and safety perspectives to shape the strategic direction of the business. While serving as Vice President of Bayer MaterialScience Business Excellence, Connie was responsible for leadership and optimization of all key business processes, including NAFTA global supply chain, continuous improvement, and core enterprise-wide business processes. Among her significant achievements was her spearheading of the corporation’s first successful process reengineering approach to organizational efficiency, which drove transformational change across six core processes and resulted in improved overall annual financial performance. Connie also initiated and led a Lean Six Sigma process and developed high-potential talent for the organization. Most recently Connie also served as President of SherTrack, LLC, a fast growing highly innovative software technology company using predictive analytics to enable a customer centric Lean-Pull approach to transform complex supply chain operations. Connie was named as one of Pennsylvania’s Best 50 Women in Business by the Governor and is also the recipient of several national recognitions, such as the Women’s Leadership Assembly’s Susan B. Anthony Leadership Award and Bayer Corporation’s Quality Excellence Award. Utilizing her expertise in the field of quality and business excellence, she served as Board Chair of ANSI/ASQ National Accreditation Board (ANAB) from 2005 to 2015 and currently is serving as Board Chair of the Association of Internal Management Consultants (AIMC). In addition, Connie has collaborated and served in key board leadership roles for many organizations, including the Registrar Accreditation Board, ANSI and RAB Joint Operating Board, and the American Heart Association. Janine R. Kamath is the Chair, Department of Management Engineering and Internal Consulting (ME&IC) at Mayo Clinic. The strategic and management consulting resources in this department are responsible for systems analysis, design and implementation, reengineering and enhancement of core processes, assisting with business strategy and planning, project management, and supporting various business transformation initiatives. ME&IC provides business consulting and management engineering services to the Clinical Practice, Research, Education, Administration and Business Development at Mayo Clinic. Janine joined Mayo in 1993 as a Systems Engineer. Prior to joining Mayo, she worked as a manager in two large pharmaceutical companies. While at Mayo, she has supported and led multiple institutional initiatives related to Mayo’s Electronic Environment, Facilities Reintegration, Operations Analysis/Research, Systems Engineering, Care Process Redesign, Business Development, Analytics and Mayo’s Quality, Safety and Service program. She has also presented at national and international conferences and educational programs. Janine is the President of the Association for Internal Management Consultants (AIMC) and a member of the INFORMS Executive Roundtable. She was one of the course directors for the Mayo Clinic Conference on Systems Engineering and Operations Research. She actively participates in a number of external professional organizations. Janine received a Masters in Business Administration from the Carlson School of Management, University of Minnesota, in Information and Decision Sciences, a Masters in Personnel Management and Industrial Relations from Tata Institute of Social Sciences in Bombay, India, and a Bachelors in Economics, Psychology and Statistics from Stella Maris College, University of Madras in Madras, India. Originally from India, Janine moved to Rochester, MN with her family in 1991. Her husband Patrick is a Gastroenterologist and Hepatologist at Mayo Clinic. She has two daughters Marielle and Amika. They are a great source of inspiration and constantly renew Janine’s sense of wonder. Ozzie, the Kamath pet is the top dog in the family. Janine also enjoys traveling, entertaining, reading, music and theatre, community volunteer activities and spending time with her extended family. 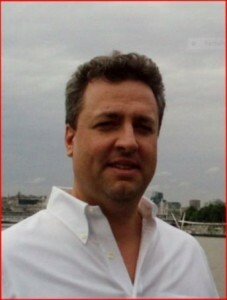 Robert Kath is the Manager of the Change Leadership practice in Chevron’s Project Resources Company (PRC). Robert advises Major Capital Project leadership in the areas of stakeholder management, change management, capital stewardship, project and operational readiness and CPDEP methodology. He has worked with most projects currently in development and leads a team of internal and external consulting resources. 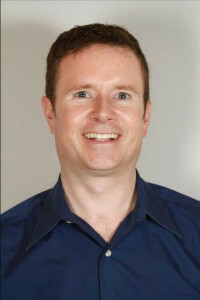 Robert works with most projects currently in development and leads a team of internal and external consulting resources. Robert has been advising senior leaders in the energy, life science, finance and technology industries for over 25 years. He is a graduate of Northwestern University and Samford University and is the Vice-Chairman and Chair of the Executive Advisory Board of the Association for Internal Management Consultants. He lives in the Houston, TX area with his wife and three children. Daro Mott, M.P.A., M.U.P., is an experienced and passionate practitioner of performance excellence and specializes in the practical application of internal management consulting in local government. He currently serves as Louisville Metro Government’s lead internal management consultant in the capacity of Chief of Performance Improvement. Mr. Mott recently served as the Chief Innovation Officer for Cuyahoga County, Ohio. He co-authored a book entitled, Coaching (Six Sigma) Green Belts for Sustainable Success, which the American Society for Quality published in May of 2015. He is the author of numerous articles and is a certified Project Management Professional, Six Sigma Black Belt, Lean Leader and advocate for validated management practices. Mr. Mott specializes in innovation and government wide-culture change. Mr. Mott operationalized LouieStat, a data-driven performance leadership strategy into more than 24 different government agencies, trained hundreds of employees in continuous improvement methodologies, implemented an applied six sigma and project management program and led numerous cost saving and efficiency projects. Mr. Mott speaks at nearly a dozen venues a year and conducts workshops for the Association of Internal Management Consultants and the Project Management Institute; he has contributed to the American Society for Quality’s World Conference on Quality and Improvement for four years in a row. Most people do not know that Mr. Mott was an adjunct instructor for 5.5 years and taught at the University of Louisville, the University of Indiana Southeast and ATA College. Also, Mr. Mott is a board member for the International Hispanic Network and is fluent in Spanish. He is also a board member for the Susan Polgar Foundation and the Association of Internal Management Consultants. 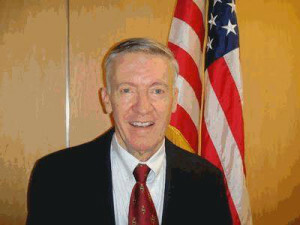 Mr. Mott holds an undergraduate degree from Yale University and two graduate degrees from the University of Louisville. Neil Wilson, Senior Change Leadership Advisor – Asia/Pacific Region for Project Resources Company within Chevron USA, an affiliate of Chevron Corporation. He developed and maintains Chevron’s proprietary change management methodology which is considered a company competitive advantage. Neil has worked with Chevron on a wide variety of assignments for over 37 years as an earth scientist, quality improvement coordinator, executive coach, manager of change management consulting, manager of change leadership consulting and his current role residing in Chengdu, China. 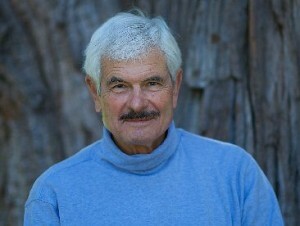 He is a skilled international practitioner in the areas of organizational effectiveness, business performance improvement, cultural change, change management, leadership coaching, mergers, acquisitions, divestitures, and exceptionally talented on accelerating change to obtain sustainable improvements in bottom-line business results. Neil served seven years (2007 – 2014) as the President of the Association of Internal Management Consultants (AIMC). 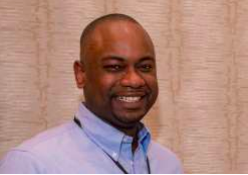 He holds a Bachelor’s and Master’s Degree in Geological Sciences from the State University of New York at Buffalo and is currently a Doctoral Candidate (ABD) in Organizational Leadership at Pepperdine University. 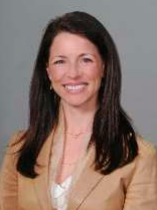 Stephanie Barsch is the Director of Humana’s Strategy Management Office. In this newly created role, she will leverage her consulting, program management and coaching expertise to facilitate the enterprise strategic management process, oversee key strategic initiatives, ensure enterprise alignment, identify synergies and drive transformational change. Stephanie previously served as Director of Enterprise Consulting Services. Under her leadership, the team reduced external consulting spend by 50% annually over a three year period, generated $40M in direct cost avoidance through internal sourcing and co-sourcing of client engagements and was awarded the AIMC Internal Consulting Process Excellence award for an unprecedented second consecutive year. A dynamic and collaborative leader, Stephanie increased engagement scores 10% overall year over year and outperformed Humana’s most engaged in Leader Effectiveness. Stephanie joined Humana in 2000 and is proud to have been part of the company’s phenomenal growth. Over the past 16 years, she has held many key leadership positions and focused primarily on startup and turnaround efforts. Prior to joining Humana, Stephanie held leadership positions with ADP and GTECH Corporation. Stephanie earned a Bachelor of Arts degree from the University of Oregon Clark Honors College, a Masters of Business Administration from the University of Louisville and a graduate certificate in Executive and Professional Coaching from the University of Texas at Dallas. She also holds professional certificates in Strategic Foresight (University of Houston) and Gerontology (Bellarmine University). Stephanie is PMP certified and is recognized by the International Coaching Federation as an Associate Certified Coach. Personally committed to improving the health and well-being of her community, Stephanie is an avid supporter of the Metro United Way. She is an active member of the Tocqueville Society, serves as co-chair for the Women of Tocqueville Committee, and has been a member of both the Women’s Leadership Council and the Campaign Cabinet. An Oregon native, Stephanie now resides in Louisville, Kentucky. In her spare time she enjoys reading, traveling and spending time with her husband and two children. 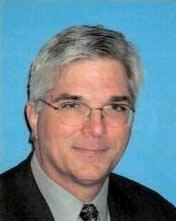 Vic Revenko retired from Chevron as the Manager of Chevron’s Consulting Services Department. His career spanned technical business and human resources areas. Currently, he practices consulting for non-profit organizations. He is currently involved in several non-profit activities. He is a Board member of the Institute of International Education, as well as a member of the California Supreme Court Committee to select State Bar Court judges. 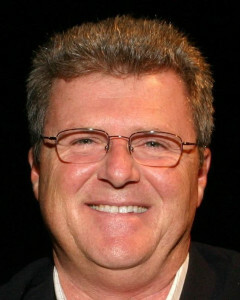 He is a past President of the Commonwealth Club of California and is a member of the Board on the Finance Committee. Other activities include past chair of the Association of Internal Management Consultants as well as the past President of the 11000 member Chevron Retirees Association. Vic and his wife Maggee live in San Rafael, CA. They have two grown daughters, Laura and Liz. Vic has undergraduate and graduate degrees in chemical engineering from Columbia University, a business degree from UC Berkeley and participated in executive programs at USC and Stanford. Bill is currently Executive Director of the Association of Internal Management Consultants and President of Trotter Consulting International TCI) – which has included leading an ongoing research program to identify best practices in internal consulting and building a global network of leading organizations. Strategic Planning Theory and Application, Planning Executives Institute. Global Business Strategy Research Findings, Japanese Chamber of Commerce and industry. Key Management Challenges in the Increasingly Global Economy of the 1990’s, World Management Congress. Implications of a Borderless Europe for Technological Innovation, The Planning Forum. “Integrated Planning and Control Systems for Global Business,” The International Executive, AMA. Innovation Management, International Industrial Executives Conference, Center for International Business. Technology Solutions, The Changing Environment for Business Decision Making. INFOLINE. Eric Kennedy, Director, Strategic Initiatives, Dell, Inc. Currently, Eric is Director of the Dell Strategic Initiatives group. He leads a team of 8 expert consultants and 20-25 rotating generalist consultants on risk-based engagements across the company. The skillsets of the team are focused on four pillars: process improvement/Six Sigma, change management, business process management, & project management. The Strategic Initiatives team is aligned to the internal audit function of Dell, but the team performs consulting work across the company. The majority of the consulting portfolio has been focused on Sales, Finance, Accounting, and Product Quality. Eric joined Dell in June 2010 as an Audit Advisor in the GAT organization. He was one of the charter members of the BI Center of Excellence, now Strategic Initiatives (SI), in 2013. He helped shape the vision and operating mechanisms for the SI team to build it to what it is today. During his time in GAT he has made key impacts on the business through his involvement and leadership in multiple assurance and strategic initiative engagements, with a strong focus on project and change management. He has been heavily invested in the development of the organization by founding and leading the GAT Hacks program. Within this last year as Audit Director for North America, he has re-established the North America Control & Compliance Review, recruited and hired a completely new North America audit team, and led a highly visible public deals engagement. Prior to GAT, Eric worked as a hardware engineer at a startup biotech company, Quadraspec Inc. He graduated from Purdue University with a degree in Mechanical Engineering, an MBA in Finance & Marketing and is a trained Six Sigma black belt. Mr. Gus Garfield is a Senior Managing Consultant in the Organization Transformation practice of IBM’s Global Business Services specializing in developing, planning, and managing large scale change. Gus has over 20 years of experience as a successful leader and professional in both internal and external consulting environments. He has worked internally for the organizational effectiveness group at Pfizer, and in a similar role at Cargill. Gus has been a member of the AIMC for 15 years, serving on the Board for 10. He has also worked with many of the major external consulting firms including E&Y, Accenture, and IBM. 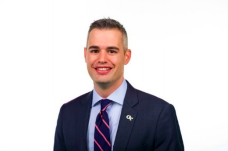 Gus’ special interests include the executive and organizational alignment, organizational systemic analysis, digital transformation and strategy implementation. Gus has an MBA from Cornell Johnson Graduate School of Management. And he holds a BA from Brandeis University. Geoffroy Dallemagne has 10 years in corporate transformation and consulting experience and 20 years of banking experience — of which 15 years were spent in the Investment banking Front office functions. 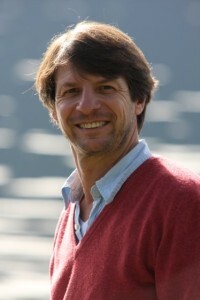 Geoffroy is the global head of SG Consulting, the internal consulting firm of Société Générale. The SG consulting group of approximately 100 professionals is responsible for leading the group transformation efforts — from business development, digital transformation, operational efficiency and regulatory compliance. Prior to SG Consulting, he successively spent 7 years in London, heading the strategic acquisition finance team, where he led dozen of transactions with more than Euro 25 billion of debt financing underwriting as Mandated Lead Arranger for SG in several European jurisdictions. For the next 5 years, he was global head of the energy sector coverage, board member of Gaselys, board member of SGCIB global coverage, contributing to the setup of the Commodity community. Finally he joined the capital market division to setup a corporate structuring team for commodity derivatives. Geoffroy graduated from Ecole Centrale Paris and holds Trium Global EMBA (New York Stern University – London School of Economics – HEC Paris). He is also a Professor affiliate at HEC. Geoffroy is also President of the AFCI (the French Association of Internal Consulting Firm). Brian Kolle serves as a vice president for Fidelity Business Consulting, the internal strategy consulting arm of Fidelity Investments. In this role, he leads teams of consultants to solve strategic problems for Fidelity’s institutional line of businesses. 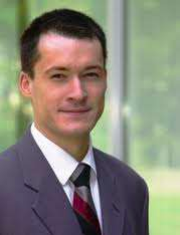 Brian joined Fidelity in 2005 and has previously worked for Booz Allen Hamilton, Boston Consulting Group, and Enron. Brian earned a Master of Business Administration degree from the Darden School of Business at the University of Virginia, and a Bachelor of Science degree from the University of Notre Dame. Brian Hannon is a Director, Strategic Business Improvement at Janssen Pharmaceutical Companies of Johnson & Johnson. He has been based at Janssen Vaccines in Leiden, NL for three years and has been an internal consultant at J&J for more than ten years. Brian has expertise in strategic planning, organizational restructuring and design, construction project management, change management, leadership, and communication. Currently, Brian is leading the “Great to Excellent” program to position Janssen Vaccines for success. Prior to joining J&J, Brian was a self-employed consultant who worked on projects large and small for a variety of Pharma clients in manufacturing, sales & marketing, and R&D. Brian received an M.S. in Bioengineering from the University of Pennsylvania in 1998, an M.S. in Mechanical Design from Stanford University in 1995, and a combined B.A. and B.E. from Dartmouth College in 1994. Brian has worked across the globe – on the East and West Coasts of the US, in Canada, Japan, China, Switzerland, and Belgium and currently resides in Amsterdam. During his personal time, Brian will be found on the ski slopes in the winter and in his boat in the summer. Stefan Bauer, Global Consultant, Global Learning and Leadership Development, Eli Lilly and Company. Since 1995 with Eli Lilly and Company in HR line management and staff roles in Germany and the USA. Key international expertise in Learning and Leadership Development, Organizational Development, individual and organizational transformation. Experienced designer and facilitator of high-impact interventions and global leadership development programs for Executives, General Managers, high-potentials, Leadership Teams. Led, participated, or consulted in over 100 local, regional, and global change management projects. Previously in charge of Learning and Leadership Development for all Lilly Affiliates outside of the US. Prior to Lilly, experiences in the Medical Equipment, and IT industries. Judge at the Court of Labour Law, Hamburg, from 2005 to 2007. Member of the Board of the Association of Internal Management Consultants (AIMC), and leader of the European AIMC Chapter. 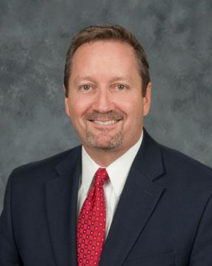 Michael Braaten is a Director in the Strategic Resources Consulting Division of the State Farm Companies. Braaten joined State Farm in 1987 as an Auto Underwriter in their North Central Regional Office located in Minneapolis, MN. After a series of promotions, he was selected in 1991 as a Business Analyst in the Knowledge Based Systems Unit of State Farm’s Corporate Service and Systems Department. In 1994, he advanced to the position of Superintendent, overseeing all Knowledge Based Systems development for the Auto and Fire Companies. A North Dakota native, Braaten received bachelor’s degrees in Management and Marketing from the State University of North Dakota. He has a daughter, Makenzi, who resides in St. Louis and a son, Dallas, who currently attends college in Bloomington, IL. Michael’s interests include motorcycling, hiking, hunting, music, spending time at the gym, home improvement projects, cooking, and numerous other outdoor activities. Martin C. Becker is a Management and Organization Development consultant. For over 40 years, Martin has been helping organizations resolve critical people issues in order to improve the performance and productivity of individuals and teams. His thorough assessment approach, coupled with his straightforward and insightful intervention skills, and his ability to build rapport with individuals and groups at all levels of an organization, distinguish Martin as an expert in the field. Martin’s areas of expertise include: organizational change management, organization development, succession planning, performance management process improvement, HR risk assessment, executive coaching, team building, process consulting, group dynamics and facilitation; and customized management training and development program design, implementation, and evaluation. As an executive coach, Martin is known for his detailed assessments of leaders’ mindsets, emotional strengths and weaknesses and behavioral patterns and pinpointing where growth and development are needed. He is highly skilled at delivering sensitive feedback in an actionable manner and imparting direction and encouragement in a way that executives find highly effective. As a human resource development practitioner, Martin has delivered major organizational change programs with a variety of Fortune 500 industrial and service companies. He has consulted over a broad range of industries, including consumer products and retail, energy and utilities, chemicals and pharmaceuticals, government, and industrial manufacturing. Martin has consulted with clients in the USA, Belgium, Canada, China, England, France, Germany, Greece, Hong Kong, Ireland, Malaysia, Mexico, the Netherlands, Singapore, and Switzerland. Mr. Becker’s engagements have focused on the design, development and delivery of management and organization development interventions to increase competitive advantage both for external and internal clients. Martin specializes in group dynamics and facilitation while effecting behavior change through individual and organizational learning. He manages the complete consulting process from organization diagnosis through design, development and implementation of appropriate intervention strategies. Martin has managed joint teams of consultants and client personnel in the identification and implementation of organizational change management culture transformation projects, which accelerated strategy, business processes and technology implementation, resulting in substantial increases in client’s competitive advantage. 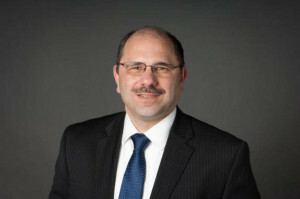 Previously, Martin was the National Practice leader for KPMG’s HR Advisory Services Practice where he led large-scale organizational change engagements such as corporate-wide Human Resources risk assessment internal audit projects; and managed the design and implementation of comprehensive performance management systems, including goal setting procedures, job descriptions, as well as, annual performance appraisal evaluation methodologies with procedures, forms and training delivery programs that were linked to behaviors, competencies, incentives, compensation, rewards and recognition. Earlier in his career, Martin was a principal for Gemini Consulting, focusing on the implementation of large- scale organizational change management culture-transformation projects. 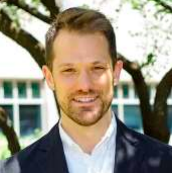 Martin’s prior corporate experience includes being an Organization Development Manager at the world headquarters of Pfizer and a Human Resource Development Executive for Macy’s. 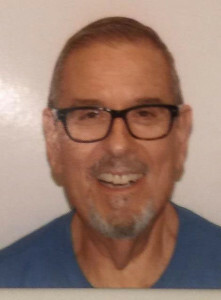 Martin holds a Master of Arts degree in Humanistic Psychology from West Georgia State University and a Bachelor of Arts degree in Psychology from City University of New York. He has published in the Journal of Behavior Therapy and Experimental Psychology and Training and Development Journal. Martin C. Becker is a member of the Organization Development Network and a member of the Board of Directors of the Association of Internal Management Consultants. Andrew has over 10 years of experience working with academic institutions, government agencies, and nonprofit organizations. As a member of Georgia Tech’s internal management consulting team, he oversees the team’s relationship with the Office of the President, cabinet-level departments, and affiliated organizations, providing them with consulting support across all six of GTSC’s service areas. Andrew also serves as the competency lead for the process optimization service area. Prior to joining Georgia Tech in 2014, he worked for Huron Consulting Group’s higher education practice in the strategy and operations group. During his time at Huron, Andrew worked with more than 15 public and private universities, managing and advising on engagements related to process improvement, organizational design and restructuring, technology planning and implementation, and developing and implementing cost reduction strategies. Earlier in his career, Andrew spent several years as an adviser to a senior member of the U.S. Senate. 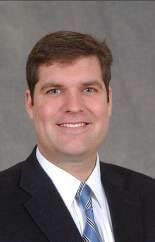 Andrew holds a bachelor’s degree in political science from Emory University and a Master of Public Administration degree in public management and organizational theory from The University of Georgia. He is a member of the Association of Internal Management Consultants, SME, and the Network for Change and Continuous Innovation. Melissa Miller is the VP of the Business Improvement Group. She has been with Anthem since 2007 and leads a team of 60 internal consultants who partner with business leaders to improve and objectively solve complex, cross-cutting operational challenges; execute strategy and implement high value initiatives; and build new business and cultural capabilities to achieve Anthem’s vision, values and objectives. Prior to Anthem, Melissa served as a Business Process Management Executive and Master Black Belt at Bank of America, leading a consulting team that delivered over $30 million in savings and trained 2,000 associates in Six Sigma. 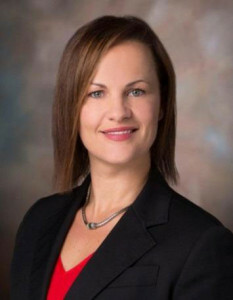 In addition, Melissa worked for General Electric as a Black Belt and served as a Captain in the Air Force within a variety of management and leadership positions. Over her career, Melissa has proven to be an execution oriented, collaborative and passionate leader with a diverse background in strategic, change management, program management, and business process improvement roles. In 2012, the Business Improvement Group received the highest accolades given for execution performance across Anthem, the Pinnacle award, for achieving $500 million in savings. Melissa earned her B.S. in Sports Medicine from the University of Virginia and a Masters in Education and Business Administration. She also serves as a board member for American Internal Management Consulting (AIMC) organization and sits on the Business Performance Council. Melissa is located in Denver. Jamsheed Banaji is the Senior Director, North America for the PCE, responsible for partnering with Global HQ & North America senior business leaders for identifying highest priority operational consulting engagements across the region/HQ & leading/delivering on those projects. Typical projects include leading business transformation, building new capabilities, process re-engineering, increasing business efficiency efforts or leading program management efforts for global projects that are of varying complexity & scope. He is a member of the PCE Leadership Team that prioritizes resources/projects globally & is responsible for developing talent. I have two decades of Pharmaceutical Marketing, Commercial Development, Business Development & Business Operations experience in markets across the globe including Asia Pacific, Latin America & Africa Middle East. This experience spans global, regional & country organizations & across a broad range of Therapeutic Areas(TAs). I started my career in the Pharma Industry in India in 1989. After working initially in Wyeth Lederle & Boots in India, I joined Pfizer India in Marketing in 1994, managing multiple products / franchises. My experience spans both IP protected products & branded generics. I led the Marketing Team for all of Chronic Therapy & successfully led several product launches in India before moving to the US in 2001 to lead the development of an internal Marketing Capability Development Initiative targeted at markets outside US. Prior to moving into his current role in PCE in October 2014, I was Chief of Staff / Director of Business Operations for the Global Clinical & Medical Affairs Group for the Global Established Pharma Business Unit. This role had multiple responsibilities over the last 4 years – including a broad range of strategic, operational & organizational support to the Medical/Clinical Leadership team, with a high focus of being a key thought partner around group’s vision, mission & strategic initiatives, as well as helping co-ordinate development of overall short & long range R&D & Business strategies & providing oversight on Strategic Projects. As part of this role, I have also had interim oversight of the Portfolio & Project Management Group as well as led the BU’s Medical/Clinical Compliance function. He holds a Masters in Management from the Bombay University in India and also a Graduate degree in Statistics & Economics from the same university. Christine Damico is a Senior Director in the Strategic Business Improvement group at Janssen Pharmaceutical companies of Johnson & Johnson. Christine has been an internal consultant at Johnson & Johnson for nearly 7 years. In this role Christine has provided strategic consulting, thought partnership and project leadership/management to projects across Janssen commercial business units and the broader Johnson & Johnson enterprise. Currently, Christine is currently deployed to the Janssen Oncology business unit. As a member of the leadership team she is supporting multiple strategic commercial projects to accelerate current business and evolve the organization to ensure future success. Previously in her SBI role Christine was responsible for a J&J enterprise strategic customer business transformation initiative, the development of a launch playbook deployed across Janssen and multiple divestiture and M&A projects. Prior to joining Janssen, Christine held positions of increasing responsibility in R&D and commercial pharmaceutical roles. Her career includes almost 15 years at Bayer, Pfizer and MannKind Corporation and spans multiple therapeutic areas. Christine currently holds a Bachelor’s of Science degree in Molecular Cell Biology from the University of Connecticut and an MBA from University of New Haven. She was also named one of Healthcare Business Association’s rising stars of 2008. Christine and her family reside in Tewksbury, NJ. Lars R. Dzedek is currently Vice President, Partner and Office Head of DHL Consulting Americas, the independent management consultancy dedicated to creating value for Deutsche Post DHL Group, its customers and external companies. The Deutsche Post DHL Group is the largest postal service and international courier service company in the world and employs approximately 510,000 employees in over 220 countries and territories worldwide. The DHL Consulting team consists of more than 100 management consultants across four offices in Bonn – Germany, Miami/Fort Lauderdale – USA, Singapore and Shanghai – China. Lars leads the regional consulting team out of the Florida office since 2014. He has more than 12 years of internal and external consulting experience with focus areas on global, functional and sector strategies, international market entry, eCommerce and strategic logistics consulting. Lars holds a bachelor’s degree from Syracuse University, a Master’s degree from Technische Universität Berlin and PhD degree from ESCP Europe. His research interests focuses on disruptive innovation and the management of decentralized entrepreneurship in multinational firms.